THE VIEW FROM HERE 2019: Meredith Kunza - Whistler Real Estate Ltd. The View From Here 2019 brought together idea-focused minds and local policy makers to provide insight into the many factors that impact Whistler’s business and investment environment. This year’s theme was Charting the Course and our speakers presented their views on the various opportunities and challenges that Whistler faces as we move forward and how these challenges can be addressed. 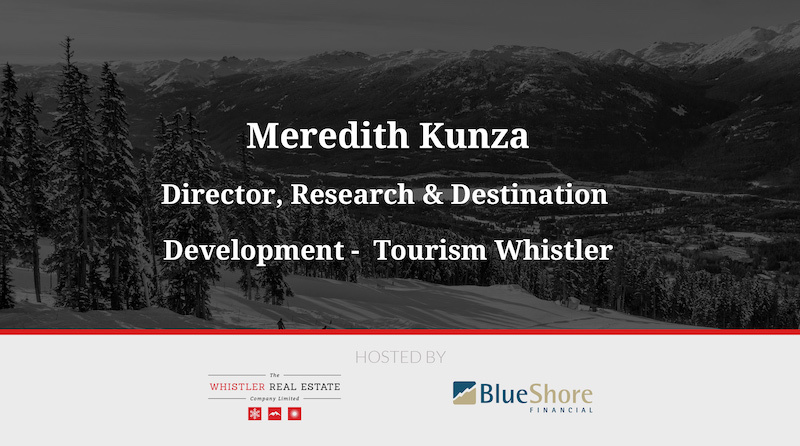 One of our panel speakers, Meredith Kunza, spoke about Tourism Whistler and they’re ongoing efforts and campaigns put in place to promote Whistler as a year-round destination resort. Originally hailing from Sydenham, Ontario, Meredith’s passion for the mountains drew her to the Whistler area in 2008 after graduating from university. She is currently the Director of Research and Destination Development at Tourism Whistler where she is responsible for measuring visitor demographics, volumes and satisfaction to better understand the Whistler guest. Under her leadership, her team uses data to analyze the quality of the visitor experience while in resort and to develop unique Whistler offerings to drive visitation in need periods. Meredith and her team work regularly with the Canadian Sport Tourism Alliance to measure the economic impact of community supported festivals, events, and products, and have been involved with a number of economic impact assessments in Whistler. In 2016 Meredith served as the project designer and lead for the Whistler Mountain Biking Impact Study, which measured the impact of all mountain biking in Whistler, including the Whistler Mountain Bike Park, cross-country biking and the annual Crankworx Whistler mountain bike festival. 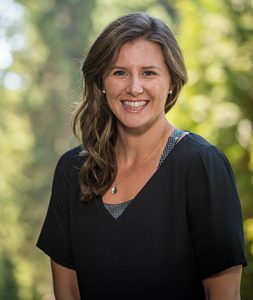 Meredith holds a degree from Trent University, has completed additional courses and certifications in statistics and customer experience, and serves as a tourism and research representative on a number of advisory committees for the Resort Municipality of Whistler and Destination Canada. In her free time, Meredith enjoys ski touring, camping and snowmobiling with her husband, Jared and their dog, Bailey. Find out more about The View From Here 2019.